How do you add flavor + style to your look with just a few strokes? Beautiful shades of nail polish, of course! 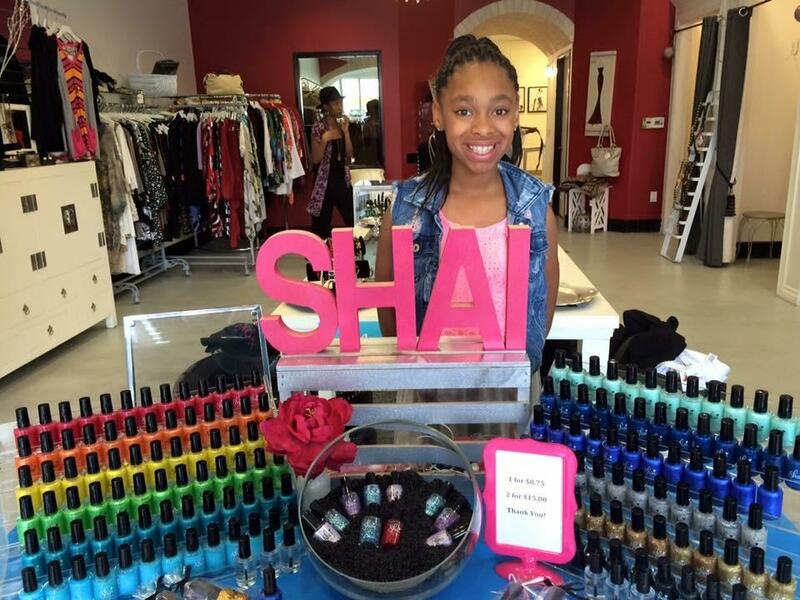 Teen beautypreneur, Shaiann Hogan, created the vibrant + fun collection Shai’s World 5 Free Nail to express herself while showcasing her passion. 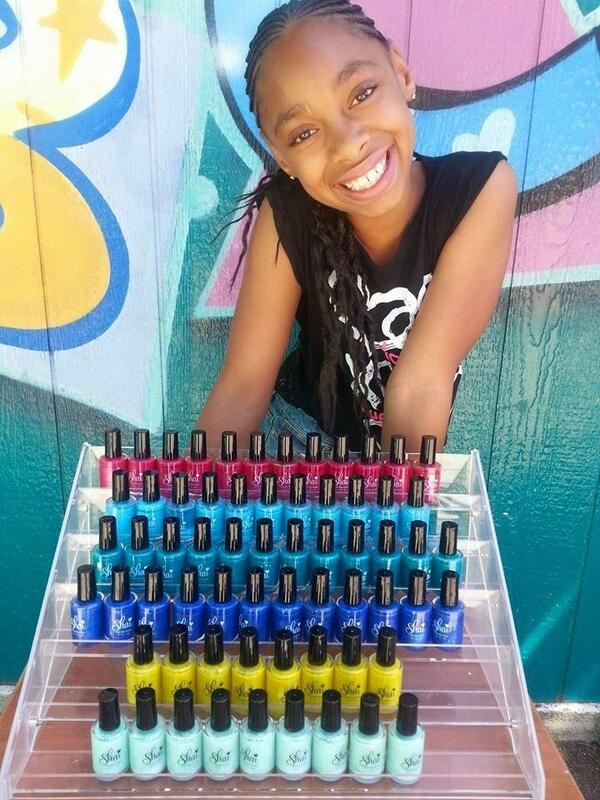 Founded in August 2013, the LA based teenpreneur launched her beauty biz + went on to open her first online boutique carving out and creating her own lane of fashion forward colors. Both vegan + cruelty-free, this collection will have you + your style looking flawless while feeling good! 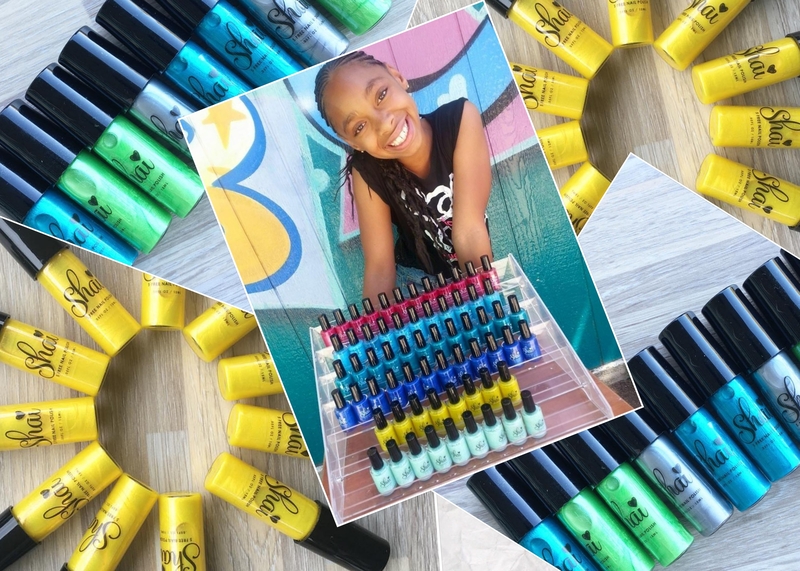 Let’s get to know Shai a little better..
You have such a vibrant selection of nail colors perfect for every season, what motivated you to launch Shai’s World? What motivated me to launch Shai’s World is because I love everything “beauty”. My mom found a video that I created on my i-touch some years ago where I was using her make-up. She was highly upset but saw great potential within me and showed me how to create my own indie polish. I love creating my own colors and getting great responses and reviews from customers and not to mention the pretty glitter colors. 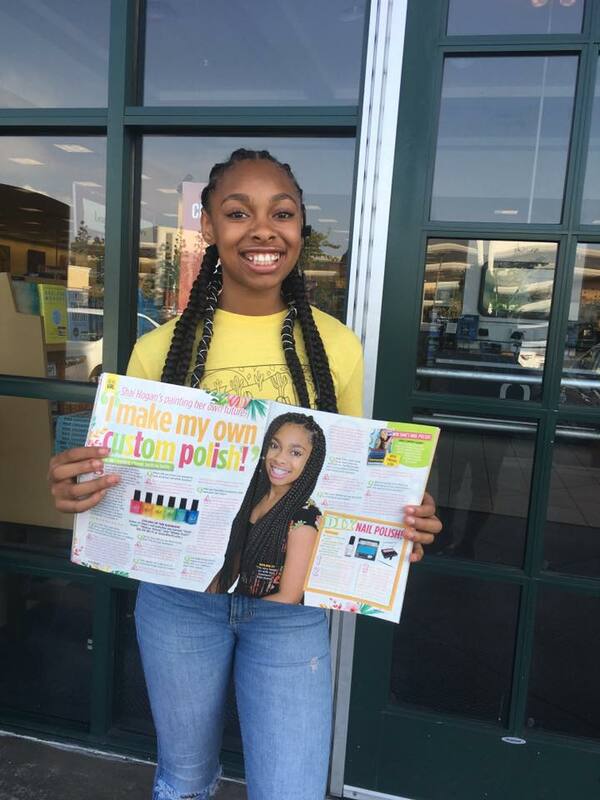 Being a teenpreneur is such an awesome accomplishment, what do you love most about owning + running your own business? What I love most about running my business is making my own colors, especially the glitter polishes and making a profit doing what I LOVE! The way I regroup and stay motivated is by way of cheer, hanging out with my friends and taking a “rest” day. I enjoy my childhood years and told my parents that I want to enjoy my teenage years while working on my business. Besides my grandmother & my mom, Michelle Obama inspires me. I love her and how she responds to people as she knows what she is worth. I love that about her and it has helped me to recognize my worth as well. Empowerment means to me, to inspire and/or reform. Make a change in the world. Inspire others to go after their dreams and help one another. The advice that I would give girls who want to follow their dreams and passions who are nervous are to be GREATER than their fears. In other words, there is GREATNESS within you and if never look at your fears face to face, you will never know what’s on the other side of fear that could possibly take you to the next level. This entry was posted on Sunday, January 14th, 2018 at 9:54 pm	and is filed under Feature, Latest.